If you use weebly you might think you're limited to Weebly's widgets, but you're not- you can embed anything you like with the Custom HTML block you can add to your page via the Misc. section in the editor. Even if you don't use Weebly you can use these on your website! With ChatTango you can embed a free Instant Chat Box onto your website! You can sign up for a a box here! 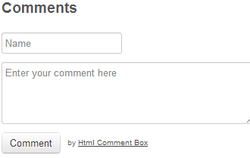 If you sign in before generating your code you'll be able to moderate your comments and be labeled a "mod"
Click here to get your comments! Click here to set an EmailMeForm account! To put one of these on weebly, go to the page where you want to embed it (usually the home page) and drag a custom HTML block to the very bottom, and embed it there. In the editing mode it will show up there but in the actual site it will pop down like normal. Click here for a notify snack bar of your own! SnackTools has a ton of other amazing, free tools for your websites, so click here! For the services you may use but you won't embed into your site. 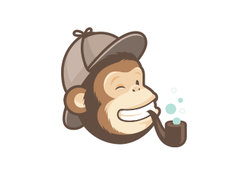 Mail chimp is an AMAZING free newsletter sender outer (lol is that even a word?) that will help you get your email-newsletter going in no time! You must give your address when you sign up. They are trustworthy so don't worry, it's a national law that those sending newsletters must have a proper address so they have to ask for it.